Irene (San Francisco, United States) on 22 January 2019 in Architecture and Portfolio. 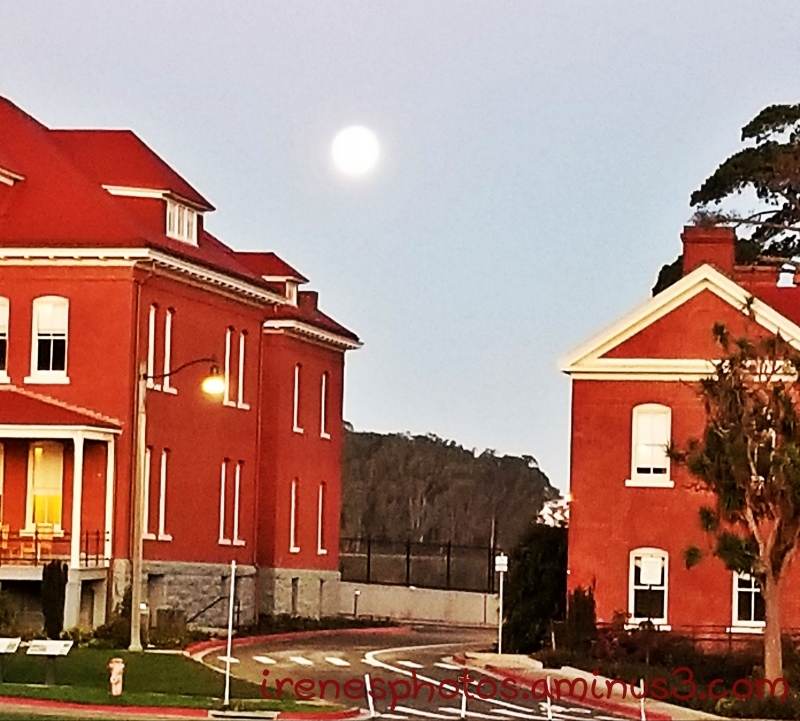 On the way home in the morning through the Presidio, saw this full moon. Had to take a photo. I really like these houses. Nice capture. Beautiful composition with the moon and colors . It is pretty large and clear.